The best way to show legislators that animal protection is an important issue is for animal advocates to communicate with their elected officials. Legislators do care what constituents (voters) think about issues. After all, elected officials generally want to be re-elected, and that means adequately addressing matters important to their constituents. Please contact your state senator and state representative, let them know you are a constituent and ask them to support the bills described here (you may want to address only one bill or issue in each letter or phone call). Are you confused by the legislative process? Click to learn How an Idea Becomes a Law. May 3 is the last day of the 2019 Legislative Session. Several bills have been introduced that would protect animals and consumers by prohibiting the leasing of dogs and other pets. Under these deceptive and predatory schemes, pet stores encourage customers to sign lease agreements, with total payments that often add up to more than twice the list price of the pet. If monthly payments are missed, the company has the right to take back the pet. Senate Bill 1236, introduced by Senator Gary Farmer, and House Bill 1105, introduced by Representative Mike Gottlieb, would prohibit pet leasing. The bills would also add Argentine black and white tegus and green iguanas to Florida’s list of “conditional nonnative wildlife,” making it unlawful to sell, bring into the state, or possess the reptiles for personal use (current owners of tegus and iguanas would be allow to keep the animals). Senate Bill 774, introduced by Senator Joe Gruters, and House Bill 379, introduced by Representative Sam Killebrew, would also end pet leasing in Florida by making pet leasing contracts void and unenforceable. Another important section of the legislation would allow companion animals to be included in personal protection orders, acknowledging the role pets play in domestic violence situations. In addition, the bills would clarify that veterinarians may report suspected cases of animal abuse and cruelty, and the bills would require continuing education for animal shelter staff performing euthanasia. Senate Bill 316, introduced by Senator Annette Taddeo, includes identical language prohibiting pet leasing as the above bills. Senate Bill 352, introduced by Senator Joe Gruters, and House Bill 99, introduced by Representative Kristin Jacobs, would ban the possession and sale of shark fins and ray parts in Florida. Tens of millions of sharks are killed each year for their fins, an ingredient in shark fin soup. “Finning,” removing a shark’s fins and dumping the injured fish back into the ocean, is banned in Florida waters. But it is legal to remove and sell shark fins once boats return to the dock. In addition, a large number of imported shark fins enter the U.S. through Florida ports. The killing of sharks for fins and rays for parts is cruel and threatens some species with extinction. The trade in shark fins is already banned in 12 states. It’s time for Florida to do the same! 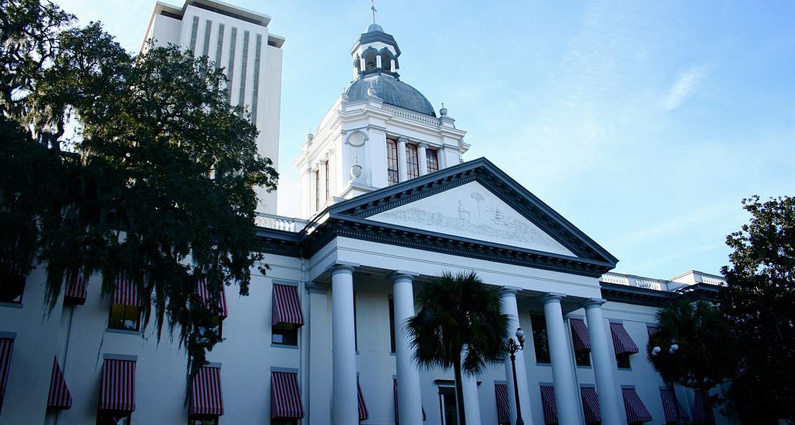 The hunting of Florida black bears would be prohibited under a bill introduced by Senator Jason Pizzo. Senate Bill 1150 would also ban the import, sale, purchase and distribution of elephant ivory and rhinoceros horns. Senate Bill 134, introduced by Senator Linda Stewart, would prohibit the killing of bears mothering cubs that weigh less than 100 pounds (if a bear hunt is held in Florida in the future). The legislation would also increase penalties for the unlawful harvesting of saw palmetto berries (an important food source for Florida’s black bears) on state lands. The Florida Fish and Wildlife Conservation Commission may revisit the issue of bear hunting in 2019. Senate Bill 1748, introduced by Senator Keith Perry, and House Bill 3, introduced by Representative Michael Grant, are far-reaching bills that would prohibit local governments from adopting regulations on a business, profession, or occupation. If enacted, this legislation would overturn existing ordinances in more than 60 cities and counties in Florida that ban the sale of dogs and cats at pet stores (unless the animals are from animal shelters/rescue groups). Please ask your state senator and state representative to OPPOSE this legislation. Have you ever spoken to your state senator or state representative? Whether you meet in person or speak on the phone, you could urge your state legislators to support a specific proposal, or simply let them know how important the issue of animal protection is to you. To win victories for animals, ARFF will need your help during the legislative session. Click here to be added to ARFF’s email list to receive legislative alerts and updates.